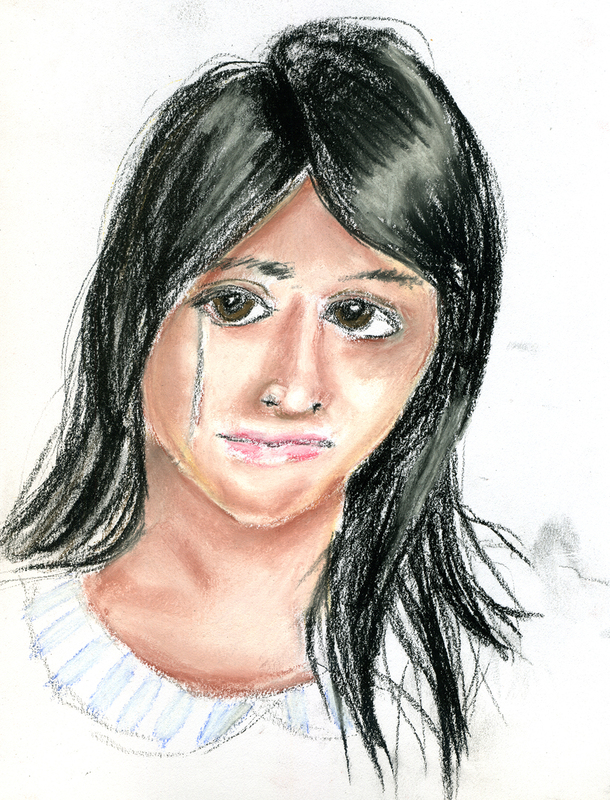 This is another attempt at using my Nupastels, and I also really need to work on drawing people & portraits. And this is of course incomplete, although I’m not sure if I’ll go back & finish it. I know I mentioned this yesterday, but oh, how I love that black Winsor & Newton ink. 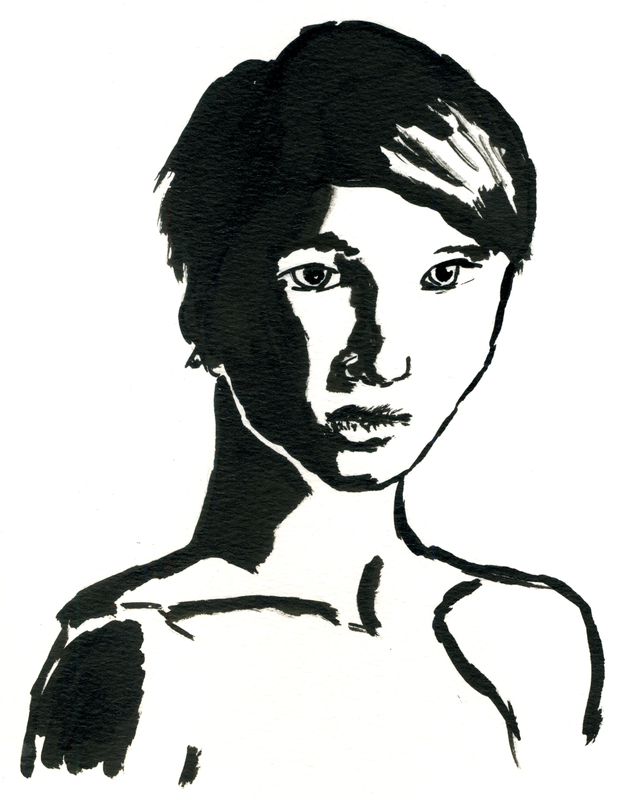 This was my second attempt using the ink set I recently got & I decided to try for a black & white ink drawing with lots of contrast. Having never really done that before, I was pretty pleased with the result! Boy, this weekend I was totally not feeling it! I think I was just exhausted. Hence, the two drawings I’m posting today are a bit sloppy. 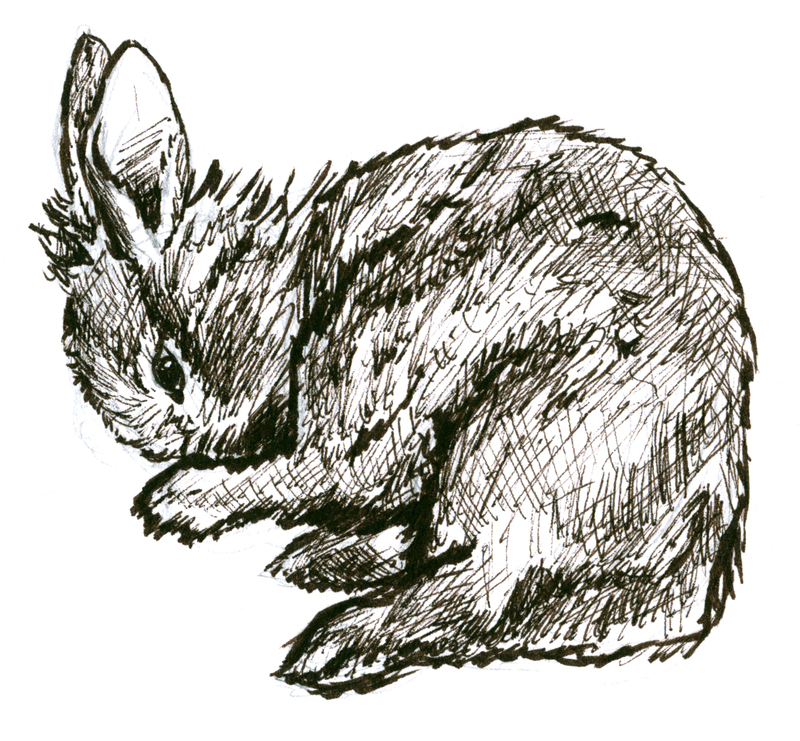 But here we have a rabbit done in pencil first & then detailed in sepia ink! I shouldn’t totally bash him, I just don’t think he’s maybe on par with my other recent efforts. But he’s kinda cute, & I like the bold lines, & I actually like the quickly scribbled lines even though I think I could have done that better. However, I think the anatomy seems a bit off. 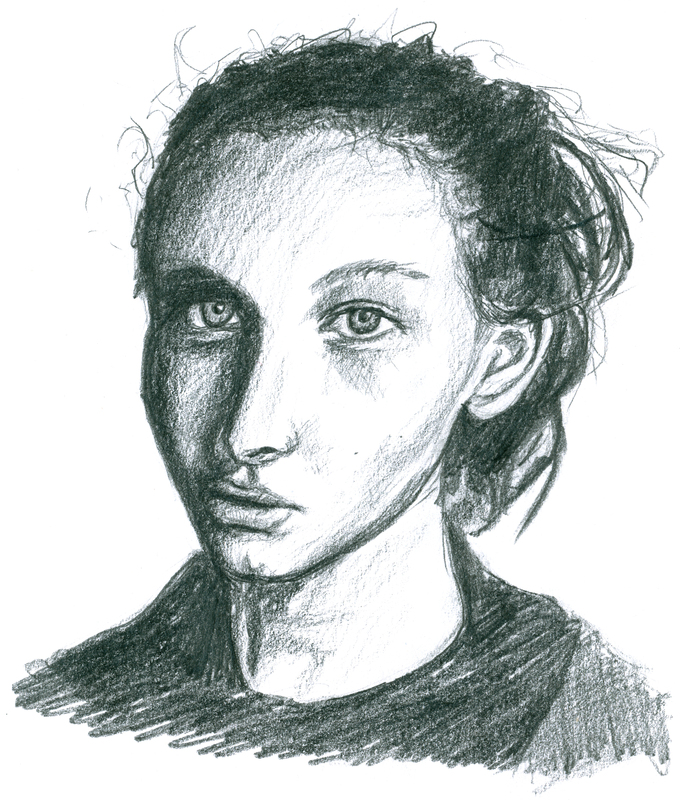 Not a lot of time last night, but I didn’t want to let another day go by without doing something, so I did two really quick portraits in pencil working from some photos at pixelovely. This top one is the one I spent the most time on, & I think it’s probably the better one. I wasn’t going for super detailed or even super realistic. 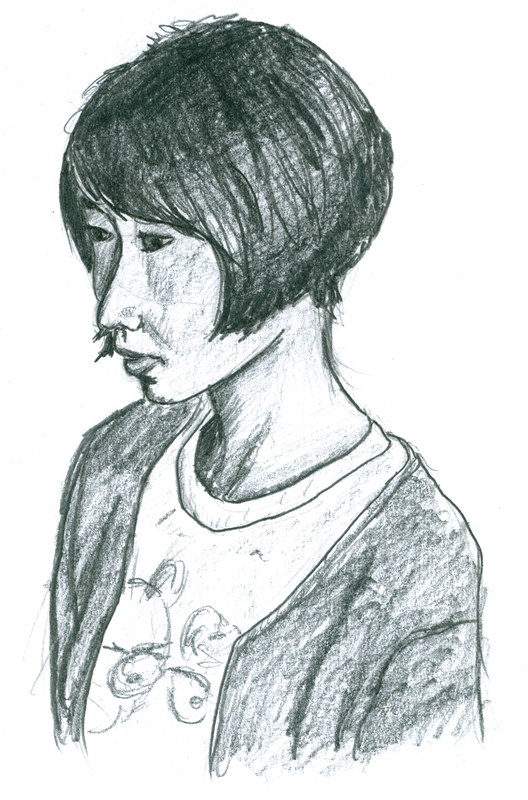 And, the finished portrait of this particular young woman! 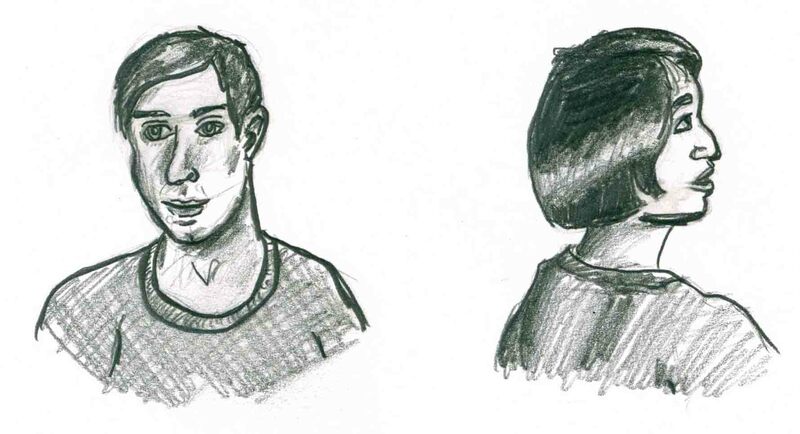 I was feeling a bit uneasy about it when I posted it yesterday, but one thing I’ve learned about drawing since I started this blog is not to judge an unfinished drawing prematurely. I’m more pleased with the outcome of this one than I thought I would be. Sorry to post something that’s not yet complete, but I felt I’d rather post something than miss a day at some point – I’m aiming for 5 days a week right now – but we’ll find out soon if that’s too ambitious! But yeah, that sundial I posted yesterday? I actually started that back in August, & it took me this long to get around to finishing it! I’m quite embarrassed about that. 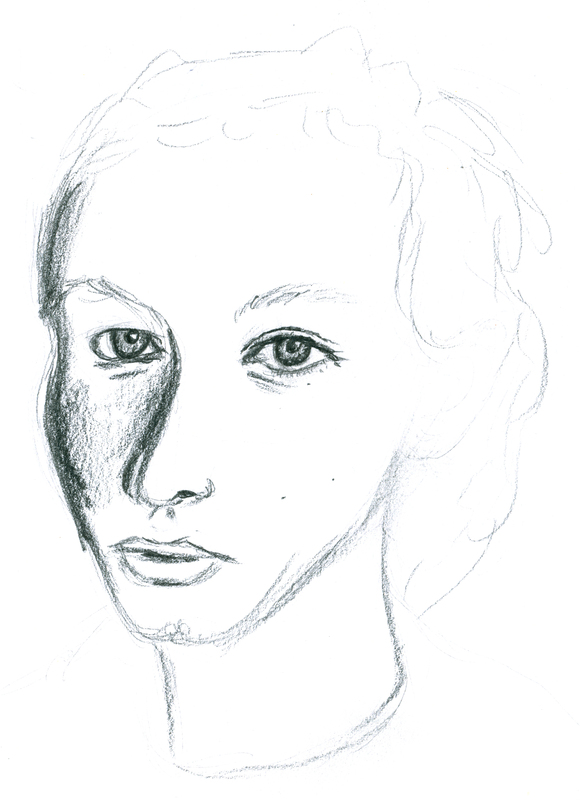 This is a portrait that I started last night – unfortunately I’m still working off of photos & have not yet made it to an actual figure drawing session yet. Maybe soon? I might be able to next month. Last night was crazy busy for me, so I only had a brief window of time to draw. I started a drawing of a clock but only got around to a very light outline of it, which wouldn’t scan well. I’m going to try & get it finished tonight or tomorrow.